← London 2012, Women’s Competition: A Look Back. London 2012, Women’s Competition: A Look Back Part Two. The Top of the D has already looked at the top six ranked ladies’ teams at London 2012 here. Now comes the turn of the teams ranked 7-12. Yvonne Frank in goal turned in a series of eye-catching displays. A string of fine saves in the pool game against New Zealand kept her side in the hunt for a win, ultimately drawing 0-0 when without Frank, they could have sunk without a trace. Natascha Keller showed glimpses of the great player she is, often driving her team forwards in search of goals, whilst Fanny Rinne showed her ability from penalty corners with a rocket against the USA. Why it was not used more is anyone’s guess. Very disappointed. Germany went into the tournament as one of the sides to beat. A strong defensive unit with a plethora of dangerous attacking options would surely do well? However, despite Frank’s heroics in goal, they were unusually porous at the back, conceding seven goals and scoring just six in the group stages. They turned it on against Korea in the 7th/8th play off but by then it was too little, too late. Definitely back to the drawing board and a tournament to forget for Germany. Cheon Seul-Ki’s goal scoring exploits were absolutely pivotal to Korea’s hopes during this tournament. A reliable penalty corner option, such as the one she provided, made all the difference as without it, who knows where Korea would have finished? Probably about right. Korea will be disappointed that they competed in some of the games without seeing it through. They had Great Britain on the ropes, before being defeated 5-3 and could easily have got a result against Holland, losing by three goals to two. In the end, they have finished roughly where they deserved. Ai Murakami deserves a huge amount of credit as her two goals overcame South Africa to give Japan the ninth place slot after a hard fought game that went to extra time. Kaori Fujio was at the heart of any creative spark that the Japanese produced. Her direct running and skills winning penalty corners and her willingness to shoot drawing saves out of the opposition goalkeepers. Sakiyo Asano will always be welcome in Great Britain after the goalkeeper kept China at bay in a crucial pool game, to hand the hosts a place in the semi finals. Mostly happy. 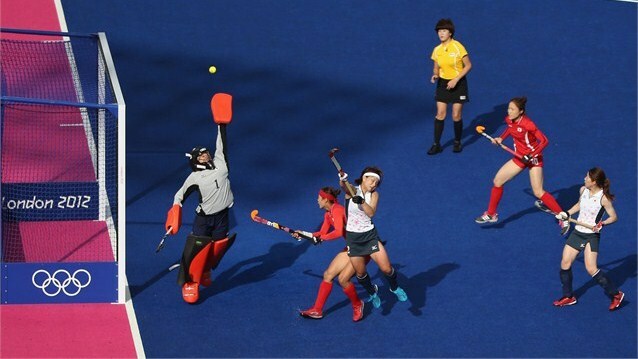 After a poor start, Japan competed well after the first game, losing by the odd goal, rather than the four goal shellacking they received at the hands of Great Britain. 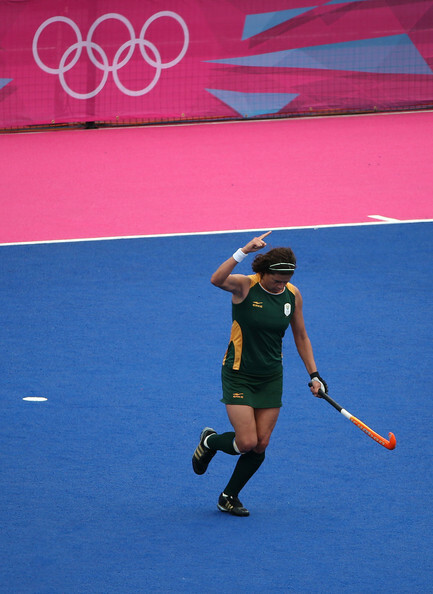 Ultimately, their tournament finished on a high as they beat China to condemn their rivals to a place in the classification matches, and then overcame South Africa to secure a ninth placed finish. Obviously, Pietie Coetzee is always likely to appear in these lists. She notched her 248th international goal in the rout over the USA and quite simply, she makes South Africa a much better side. Tarryn Bright and Dirkie Chamberlain look busy and intelligent going forward and provide the side with pace and energy in attacking areas. All in all, they would have hoped to finish a little higher up. Undoubtedly, South Africa have some hugely talented players, Coetzee, Marsha Marescia, Bright and Chamberlain, amongst others provide South Africa with a great deal of pace and attacking flair. However, having conceded 14 in the group stages, it is clear that they have an issue defensively. As with their men’s side, the lack of quality opposition faced during their normal international calendar is telling when they get to the big tournaments like the Olympics. They can only hope to compete if they play better opposition all year round. Stephanie De Groof looked a very accomplished defender, showing great maturity and composure on the ball for someone so young. She will improve as a penalty corner option over time, but can be very positive about her efforts in the competition. As you’d expect for a team largely restricted to defending, Aisling D’Hoogue in goal did very well. She was kept very busy and coped admirably with the task. It’s hard for them to be disappointed. Whilst they didn’t quite match the heroics of their men’s side, qualifying in itself is a great achievement for the Belgian team. 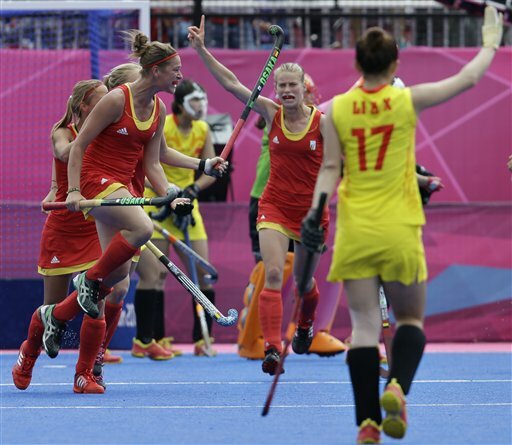 A young side will have gained some valuable experience from the tournament and with Belgian hockey on the rise at the moment; London 2012 can only help this group of players to improve. 11th out of 12 may not seem a great achievement on the face of it, but given where they have come from, it is superb. Captain Lauren Crandall led by example. She defended courageously and always seemed to be spurring her team on. Amy Tran-Swensen, a former FIH World All Star rolled back the years and showed she still has the ability that made her one of the best goalkeepers around 5 or 6 years ago. Disappointed. The wooden spoon is the prize no team wishes to collect. However, the USA will be most disappointed at the amount they competed. Their pool games were littered with what ifs, as a spirited second half display against Germany was undone by a lack of cutting edge up front, which resulted in a 2-1 loss. A wonderful result to beat Argentina 1-0 with Shannon Taylor’s goal showed what they are capable of when it all comes together, but they were back to what could’ve been against Australia and New Zealand before being completely undressed by South Africa and beaten by Belgium to finish last. There is no doubt there is a lot of talent in the USA team. Finding some consistency, so that the Argentina results are more frequent, is the trick they need to perfect. Don’t forget, you can re-live the tournament by reading The Top of the D’s match reports. Just click either of the London 2012 Menus at the top of the page.